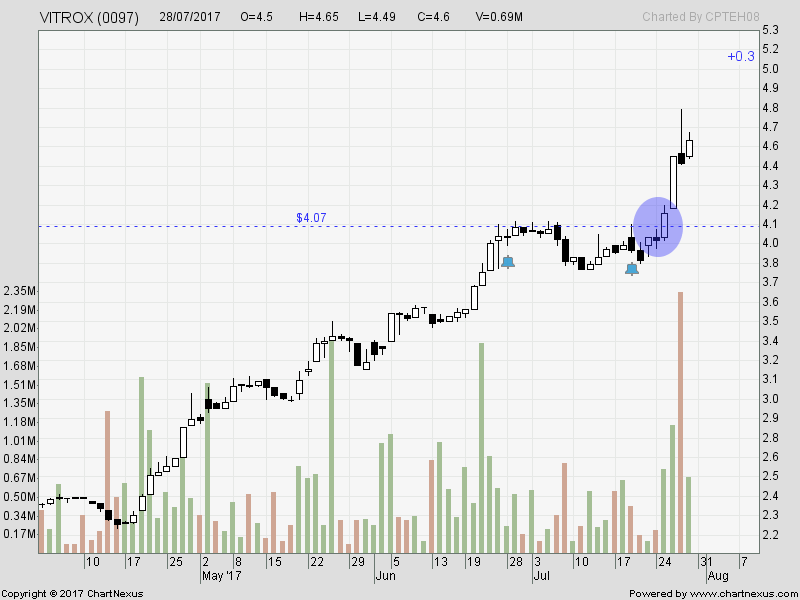 Elsoft : Breakout and I bought on Friday morning ... till closing at RM2.80. 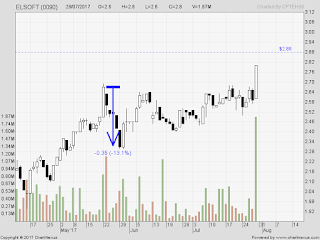 Sold part at opening RM2.85 done and queue-ing to sell allat RM2.98, hit RM2.95 so far and at RM2.90 level now. 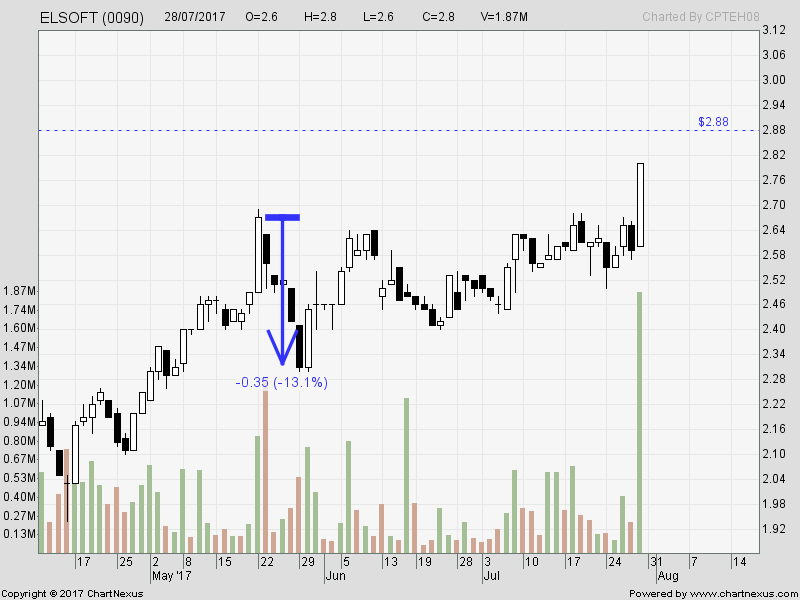 As for Vitrox, I have sold her on 2nd white candle. 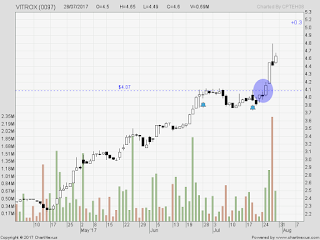 Vitrox : bought at RM4.14 ... breakout but sold too early after it done the 8% in a day stunt the next day ... no thanks to the Forbes report (the top-5 la) ... it continues to move higher despite that black shooting star. Weird ... guess investors buying as traders wont be chasing Vitrox a current high-risk situation. Note : I sold both.